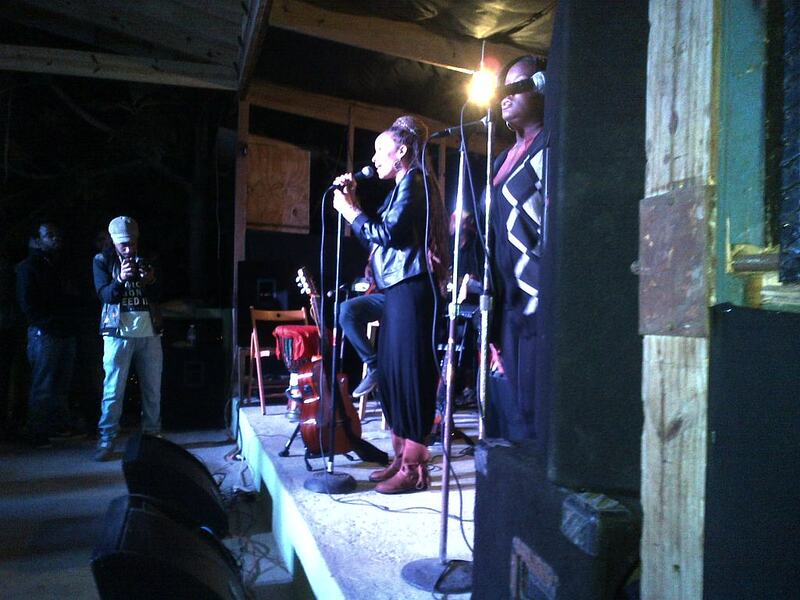 The heavy rains all afternoon cooled the temperature at Reggae Mountain, that section of Jacks Hill overlooking the lights of Kingston that is home to the popular Sunday night Kingston Dub Club sessions, and was once home to Bob Marley and his family. It’s also home to the McDonald family, whose elders Errol and Kerida formed their signature group Chakula in 1955 while raising three children who have grown up to make their mark in the entertainment industry. 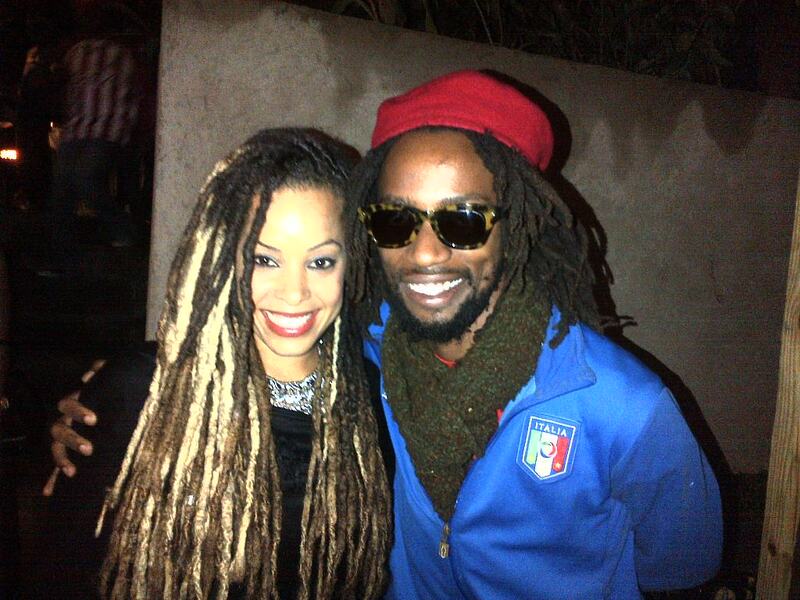 Daughter Kamila is a TV celebrity married to reggae artist Jah Cure, and son Keznamdi is a solo artist. But it was daughter Kelissa who packed the beautiful venue on Saturday December 13 to deliver a professional one-and-a-half-hour show that had the happy crowd, wrapped in warm sweaters and hoodies, hooting and hollering for her hit songs that were clearly well known by those who came to listen. Introduced by her sister Kamila, Kelissa welcomed the audience by telling them she had come to ‘teach’ and they were her ‘students’. 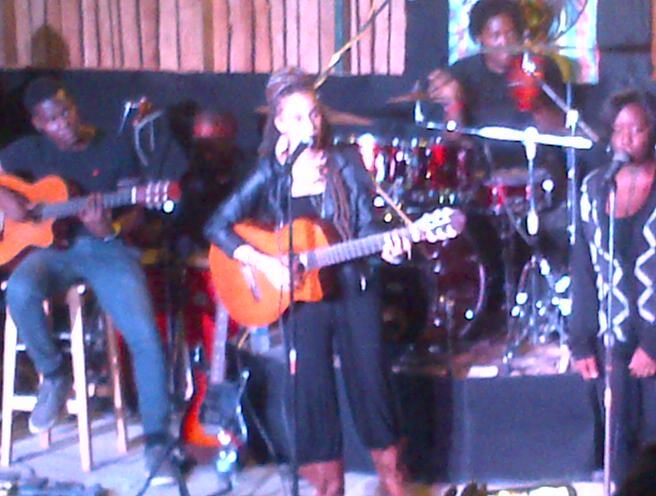 Indeed she did just that, interspersing her music with comments about life, women, music and the art of survival for today’s revolutionary reggae warriors. 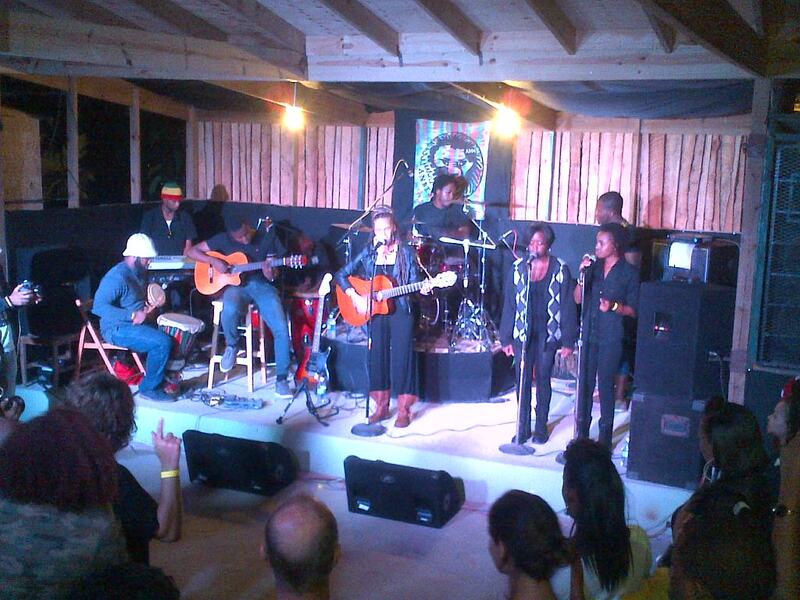 With the showcase already warmed up from early evening by the musicial selections of Natural High Music, and backed by her 5-piece band Ambessadors who showed a professionalism made even greater by their obvious youthfulness, Kelisssa took complete charge of the stage and the evening to give a taste of how she adds strength to reggae superstar Chronixx‘s show when she is on tour with him, as she often is. 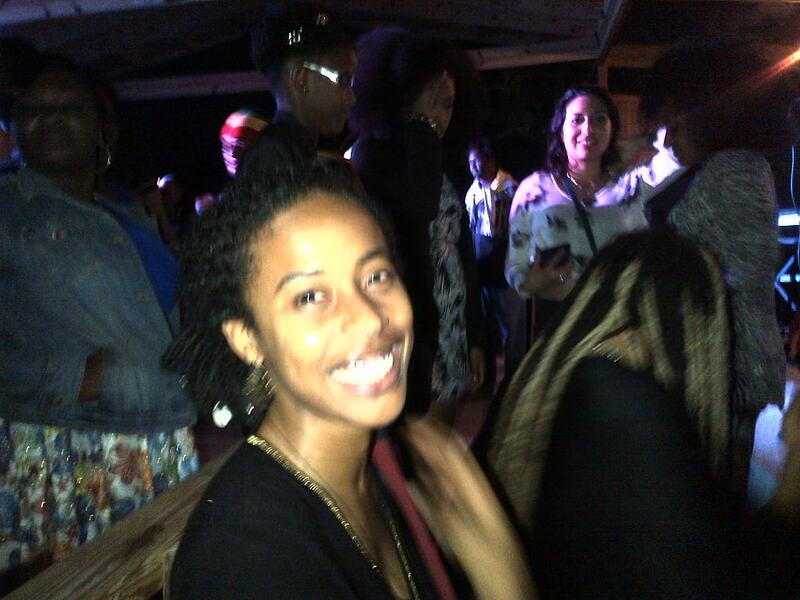 Chronixx was away performing in Australia, but Kelissa was not without strong company as Jesse Royal, Dre Island, Kabaka Pyramid, Young J.R. and her brother Keznamdi were some of the artists present who came on stage to embellish her show and delight the audience with a short performance of their own. A unique feature of the show was the agile tap dancer Samantha who amazed the audience with steps and style to accompany the reggae rhythms – something new that added to the special-ness of the show. Kelissa is an unusual artist, a talented guitarist and song-writer who rides the rhythms with confidence and style, blending easily with her well-drilled band and her backing singers to deliver a performance that deserves the admiration and attention she receives at home and abroad. Kelissa’s infectious smile, frequent laugh and commanding personality endeared her to all present, who greeted her hit songs “Babylon is Burning” and “Winna” with hoots and hollers, singing along all the way. She also performed new songs “Best Kept Secret” on a Natural High riddim, and closed the show with “Live for Today” produced by Walshy Fire from Major Lazer. Father Errol McDonald, watching from the sidelines, must surely have been proud to see the great talent his musical parenting has nurtured. The show venue he has built as part of their hillside home is a professional space under the stars and with such facilities at their disposal, the professional result is not surprising. As the night ended and patrons started hugging farewell, the McDonald patriarch can rest assured that the musical baton has been securely passed to the second generation and, from all indications, will be to the next. Reggae lives on! 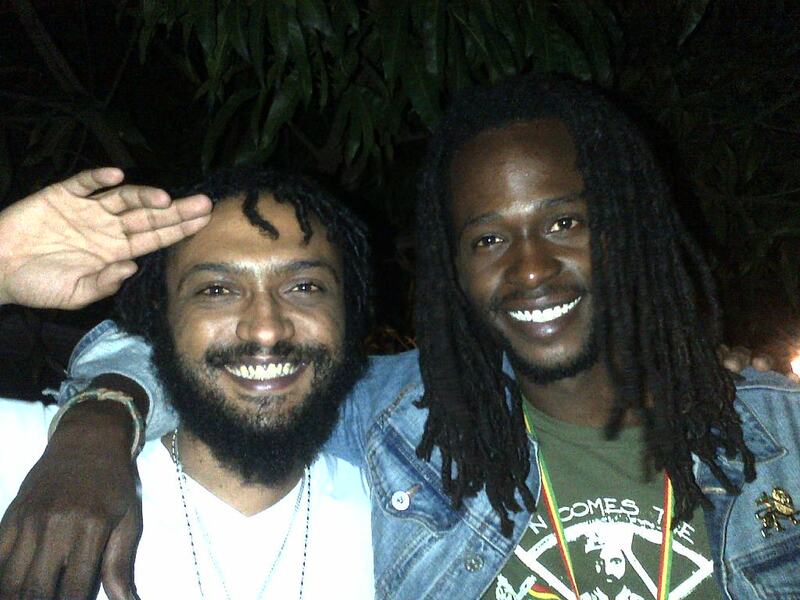 PHOTOS: Donisha Prendergast, Dexta Malawi, Makonnen & Jesse Royal, Keznamdi, Monique.